12/17/2004 12:21:26 PM Mountain cpf:: What is 20/110 ? 12/17/2004 10:39:02 AM Mountain Al:: cst: read the Trading MoonTides tutorial and the trading rules under the Tomorrow's market email-we cover on a stall, a 5 point gain, or when stopped. 12/17/2004 9:30:06 AM Mountain cst:: Hello Al, Thanks for free frday. How do you know cover price. This trade is 1195. 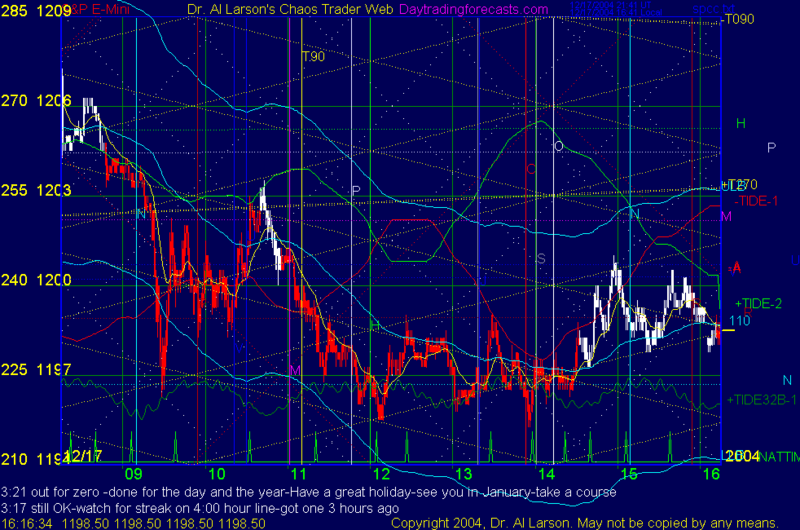 Is is something I should see on the chart or is a # you figure out by self? 12/17/2004 9:18:19 AM Mountain pdk:: Al, do you calculate the tide turns or are they published somewhere? 12/17/2004 9:17:24 AM Mountain wlj:: 1194 at :30 after the hr ?